The Belgian artist Kris Martin is putting his own spin on the Ghent Altarpiece by incorporating a site-specific piece into the armature of the famous 15th-century Flemish masterpiece. Martin’s mirrored work covers the Just Judges panel—currently represented by a reproduction—in the lower left corner of the altarpiece which was installed at St Bavo cathedral in Ghent in 1432. “When you walk into the cage [which houses the altarpiece], your perception changes dramatically,” Martin tells The Art Newspaper. The mirrored piece turns the viewers into participants, possibly implicating visitors as the just judges. “Everybody is judging,” says Martin, adding that “he is not moralising or pointing a finger. I’m not forcing people to see things but am touching on big issues”. A series of other works by Martin also go on show in the cathedral (22 March-27 April) including You Angel You (2019)—a 17th-century wooden angel sculpture transformed by the artist—and Solitary (2019) which involves finding a ring concealed in one of the church columns. Each work displayed at the cathedral will have its “double”, or another version, on show at Sean Kelly Gallery in New York (21 March-27 April). Solitary comprises, for instance, a rock with a ring inserted. The parallel exhibitions are entitled ?Do Geese See God? “There is a herd instinct with geese, while seeing God is all about belief,” Martin says. He highlights how Ludo Collins, the chancellor of the Bishop of Ghent, enabled the dual project. “I have a special relationship with the cathedral, and see the Ghent altarpiece at least once a week. I can’t get enough of it,” the artist says. The Ghent Altarpiece, also known as Adoration of the Mystic Lamb, is attributed to the Netherlandish brothers Hubert and Jan van Eyck. 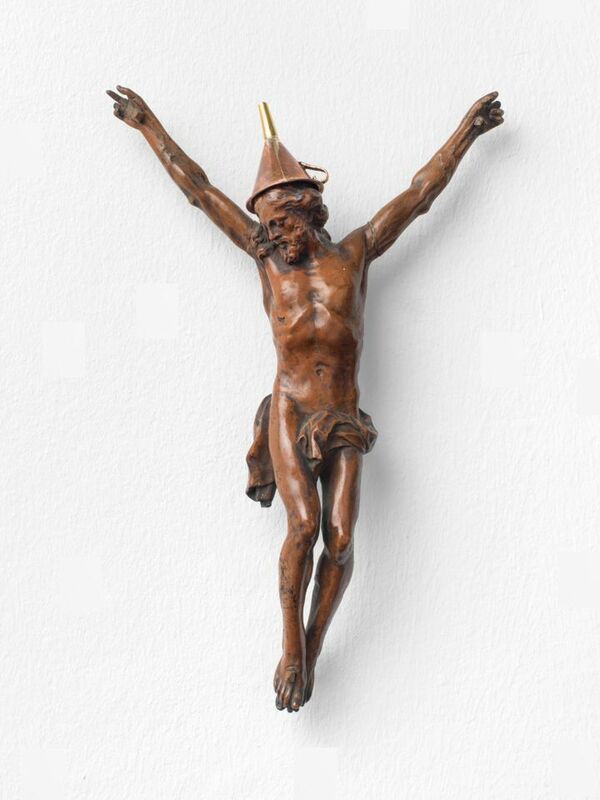 The 12-panel piece was begun in the early 1420s and completed in 1432. 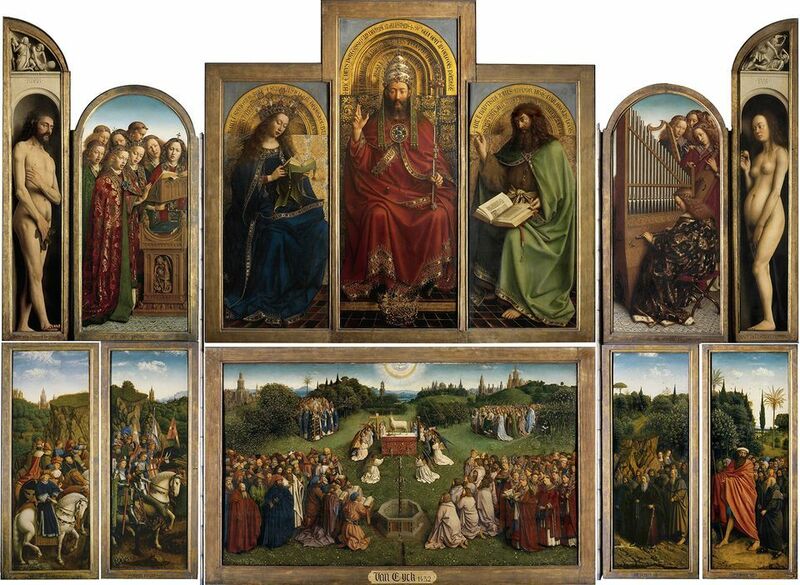 Parts of the altarpiece have been restored at the nearby Museum of Fine Arts Ghent with the five lower panels currently undergoing conservation. Two of the panels, The Just Judges and St John the Baptist, were stolen in 1934. The grisaille painting of Saint John the Baptist was left in the checked-luggage department of the Ghent train station. The Just Judges—which shows a group of men on horseback, including a portrait of the patron of the work, Duke Philip the Good of Burgundy—has not been recovered. It was replaced by a copy made during the Second World War by the restorer, Jef van der Veken, who moonlighted as an art forger. “I think Van Eyck would be happier with the mirror piece than the bad copy,” Martin says.